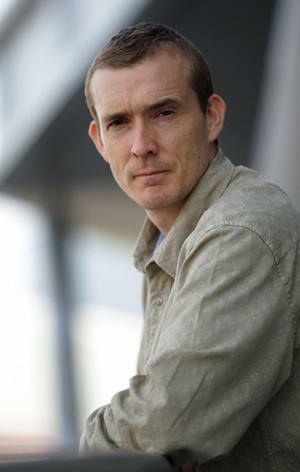 The Bone Clocks by Cloud Atlas author David Mitchell, reviewed. David Mitchell’s portentous new book is no fun. First things first: Is David Mitchell’s new novel The Bone Clocks another Cloud Atlas, a multi-era-spanning masterpiece of literary ambition and dexterity? The Bone Clocks certainly aspires to occupy the same strange headspace as Mitchell’s 2004 delight. Like Cloud Atlas, The Bone Clocks presents us with half a dozen characters, superficially unrelated, who are revealed to have a cryptic connection. Like Cloud Atlas, The Bone Clocks cartwheels through time from the past to a post-apocalyptic future. Magic and technology—and technology that looks like magic—suffuse both novels. Both fret about the fragility of modern society, and the inevitability of environmental collapse. The worlds of the The Bone Clocks and Cloud Atlas seem to be the same place: Cloud Atlas characters Luisa Rey and Timothy Cavendish both appear briefly in The Bone Clocks, and the global catastrophe of Cloud Atlas is hinted at in the new book. In both books there are feral, endangered children, enraged and murderous authors, and a mysterious boat from a technologically advanced society. The Bone Clocks twines around Holly Sykes, a teenage girl in the sticks of England who runs away from home when her scuzzy boyfriend dumps her. Holly finds herself having prophetic dreams and hearing mysterious voices, and she encounters curious strangers. The first, novella-length chapter—93 pages—is told from Holly’s point of view. Each of the next five immensely long chapters is told from the perspective of a different character: a bitter novelist, a psychiatrist, a war journalist, a sociopathic college student. Each portion almost stands alone, but each circles its way back to Holly. Gradually we learn that Holly must play her part in an epic battle between rival sects of immortals. The good guys are sweet and multicultural. The bad guys are murderous and sociopathic and all white, with a headquarters in the Swiss Alps—think Davos, with a splash of Charles Manson. In the course of a billion pages (or 600? ), the book careens around the world like a travel writer on an expense account—Shanghai, Australia, Bogotá, New York, England, Iceland, Ireland—and introduces a truly daunting number of characters. Too many of them are forgettable—not least our heroine, Holly, who, though she starts out tough and funny, gets flatter and flatter and flatter as Mitchell drags her across the world. And wow is there a lot of plot! Practically everything I could say about the plot is a spoiler. Best, perhaps, to describe it using Mitchell’s own words—some of them literally his own words, as in, he coined them—which will give you a sense of what a reader is up against. In sum, the Anchorites of the Dusk Chapel of the Blind Cathar, who practice the Psychosoterica of the Shaded Way, fuel their atemporality with decanted souls lured up the Way of Stones on the equinox and solstice, a Rebirthday celebrated with the Black Wine. The Horologists, swimming in and out of the Deep Stream, scansion and hiatus, subwake and subask, sometimes enfolding, as they attempt to fulfill, or at least transverse, the Script, before the Endarkenment. This isn’t Cloud Atlas. This is Cloud Thesaurus. You can tell Mitchell is pursuing Grand Themes because of his aggressive capitalization: The Schism, The Second Mission. But I’m not clever enough to understand exactly what those themes are. I think maybe he wants to get us thinking about the ways that minds can intersect each other, the ways that consciousness can be shared. He wants to counsel us on how to live without parasitically stealing from others—several of the chapters turn, in some sense, on an act of theft. What goes wrong? In part, The Bone Clocks falls apart in the same way all supernatural and horror stories fall apart: It shows the monster, and once it shows the monster, everything becomes less sinister, and more ludicrous. In Cloud Atlas, the mystery remained off-screen, subtle and spooky. It’s hard to even say what the magic in Cloud Atlas was, but every reader knew it was there. The Bone Clocks is explicit: The various neurological techniques of the immortals are described in precise and tedious detail. Its villains are comic-book-evil. The final showdown against the baddies even includes a force field. It’s blue! Everything is explained, which dissolves the mystery and guts the magic. The Bone Clocks is a heavy book that should have been light. In some ways a better comparison than Cloud Atlas is Nick Harkaway’s 2012 novel Angelmaker, raved in Slate. Angelmaker also explored time, clocks, immortality, and magic with an epic sweep. But Angelmaker was genre fiction. It only wanted to have fun. Too often, Mitchell doesn’t. As he piles on the neologisms and capital letters, the metaphors and adjectives, you can almost hear him telling himself: I’m a Booker short-listed writer. He is burdened with portent. Everything Means Something. On Page 8, a child draws a labyrinth and urges another child to study it. Does it take a Horologist to figure out that labyrinth will reappear at a key moment later in the book? Mitchell hurls people, places, and ideas at us; so many that none stick. From a single page: Noongar, Moombaki, Ship People, Pablo Antay, Five Fingers, Lucas Marinus, Nagasaki, Whadjuk, Horology, Nineveh, Ur, the Deep Stream, the Schism, the genocide in Van Diemen’s Land, Xi Lo, Esther, spirit-walk, the oldest Atemporal, Freemantle, the Swan river, Shakespeare, Rome, and Troy. Mitchell has written a book about immortality that mimics immortality itself. It feels like it takes forever. The Bone Clocks, by David Mitchell. Random House.